Instead of cleaning the weeds and moss in your lawn by hand or spray them with chemicals you can use our effective mowing services. They will ensure the healthy and proper development of the grass and the vanishing of weeds. When being cut to the proper size, lawns become stronger, develop better roots and this leads to their exuberant growth. When the lawn becomes dense enough it is less likely moss and weeds to appear in it as well as finding bare patches in your yard. Our lawn mowing services are suitable to be booked by the residents of Blackheath in domestic and commercial estates. Our lawn care experts can estimate the necessarily height of your lawn and cut it using advanced machines for this purpose. We guarantee the quality of our work which is done by some of the best specialists with relevant experience and vast knowledge. Use our professional lawn mowing services available in SE3 to make your property look better. 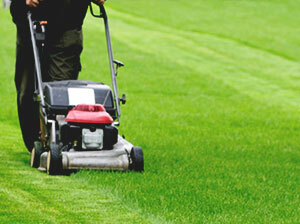 Our gardeners can cut the grass fields to the most appropriate height and spread fertilizers on the lawn. If you use professional lawn mowing services regularly you will have lush, properly developing and rid of weeds grass areas. In case there are any bare patches, diseases or pests in your yard, our gardeners can spray it with suitable detergents, fertilizers, turf or repair certain places. We offer additional gardening services to our lawn mowing, available in Blackheath which will be implemented at a discount. Get in touch with our company to book the inspection and shaping of your lawn. Our staff will provide edging and pay attention to special garden features and other plants. Use our affordable services to keep your lawn in presentable and flawless condition and the results will amaze you. 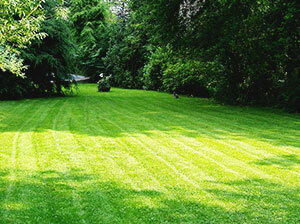 After the work is done your lawn will significantly improve.